are available to drivers in Germany, where advance sales of the car have just begun. Audi e-gas is a synthetic methane that is produced at the Audi e-gas facility located in Werlte in Lower Saxony, Germany - the world's first industrial power-to-gas plant. Green electricity is used in the production of Audi e-gas, and the process of generating it actually binds as much CO2 as is released when the Audi A3 g-tron is driven in gas mode, giving it exceptional ecological credentials. 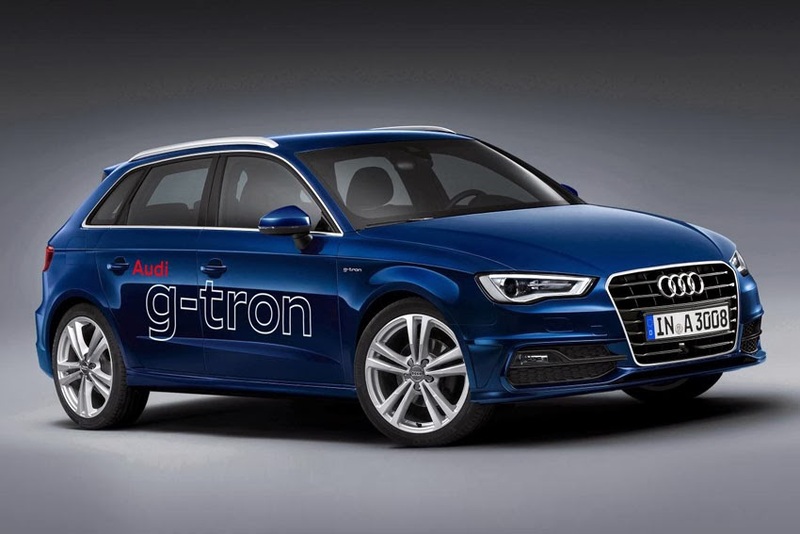 On average the Audi A3 g-tron consumes between 3.2 and 3.3 kilograms of gas per 100 kilometers. Fuel costs at present start at around 3.50 euros per 100 kilometres. The buying principle for Audi e-gas is straightforward and corresponds to how green electricity is distributed - Audi records the quantities of gas that the customer pays for using their Audi e-gas fuel card and ensures that exactly this amount of Audi e-gas is fed into the German natural gas network. "In addition to our e-mobility developments, the Audi e-gas project is an important pillar of our sustainability strategy - as is the development of other synthetic fuels," said Prof. Dr. Ulrich Hackenberg, Board Member for Technical Development, Audi AG.